Smile! It’s a new year! Now is the time for new beginnings and updated goals. Many people will set goals to lose weight or save more money. Have you ever considered setting a goal to improve your smile? The Dental365 family is ready to help you get the smile you’ve always dreamed of. Make 2016 your year! There are many things you can do to improve your smile depending on what you are looking for. Tooth whitening has become very popular in the past few years, and with good reason. It enhances the appearance of teeth by removing surface and/or deep stains. Dental365 offers many types of in-office and take-home whitening products that work quickly and safely. Whitening from Dental365 versus over the counter products is much safer and lasts much longer. Your dentist can also make sure that the gums do not get irritated from the whitening agent. Your New Year’s resolution may also be to correct an abnormal bite or crowded teeth. Braces not only improve the aesthetics of your smile, but they also improve your overall oral health. Dental365 offers many different, affordable options depending on your personal preference including Invisalign, aesthetic braces, and WildSmiles. 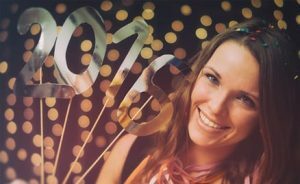 The New Year may be the right time to begin or complete restorative work such as crowns, implants, or fillings that you have been putting off. Dental365 offers immaculate implants at an affordable price. Completing restorative work will help preserve your tooth structure and maintain proper tooth alignment, which will improve your oral health and overall smile. Your dentist at Dental365 is ready to meet with you about your needs and wants. Call to schedule an appointment at 844-365-3368 or just walk in when it’s convenient for you! Your dentist will talk with you and develop an appropriate treatment plan to allow you to meet your goals as quickly and safely as possible. All of us at Dental365 would like to wish of our patients a happy and healthy 2016!